The Crouch End Neighbourhood Forum is a group of local residents and businesses that have come together to develop a plan that will help inform and shape how the area will change over the coming years, and make sure the local community benefits from these changes. The group is now formally recognised by Haringey and and is in a position to start drafting the Crouch End Neighbourhood Plan. It is keen to attract more members and hear the thoughts, ideas and concerns of anyone with an interest in Crouch End. We are continuing the process of public consultation with as many people as we can, and hope that you can join us. We have an Executive Committee to direct the proceedings of the Forum and continue to develop our web presence with CENF website, a Facebook Page, and a Twitter Feed. We have a draft constitution, which will be updated subject to approval at the next general meeting. The updated constitution, showing the proposed amendments, can be viewed here. Our membership is open to all residents and anyone who works, or carries out business, in Crouch End. In fact anyone with a connection with and a love of the place is welcome. Local businesses too. 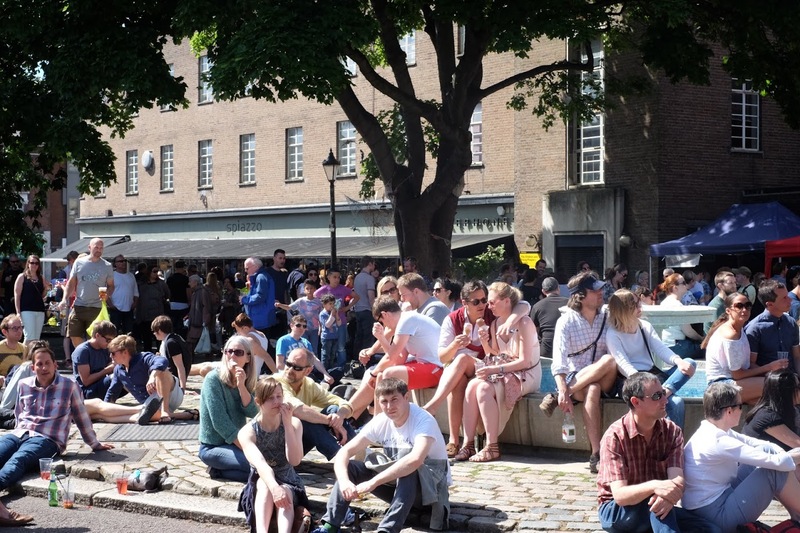 Members receive notice of all events and meetings of the Forum, and have the opportunity to get involved with all or any activities, be it walkabouts, workshops, or simply to share ideas and opinions of Crouch End. Please contact CENF, with your name, email and address if you wish to join, it’s free! Our business members include: The Alex, Arthouse Cinema, Les Associes, Audio Gold, Clocktower Store, Crouch Hall Road Surgery, Dunns Bakery, Earl Haig Hall, Fahri Jacob Solicitors, Floral Hall Antiques, Foxton’s Estates, Graham Fine Art, The Haberdashery, Harringay Arms, Infinity Optical Opticians, Moors Bar, Muddy Boots, NatWest, Organic Hair, Painted Black Vintage, Pearl & Turquoise, A View Optician, Yoga Centric, and Waitrose. Are you a member of a local community organisation? Our aim is to be as inclusive as we can – across all groups and interests in Crouch End. Affiliation allows us to demonstrate that the whole of Crouch End is part of the conversation, and is, of course, free and without obligation. We are talking to residents associations, schools, faith groups, local councillors, sports clubs, arts and cultural bodies, environmental groups, elder people, community centres, charities, and many others. Please contact CENF with the details of your group if you wish to join us. Our current affiliated groups include: Crouch End Traders Association, Crouch End Festival, Crouch End Festival Chorus, Crouch End Open Studios, Crouch End Players, Crouch End Creatives, Crouch End Cricket Club, Crouch End Open Space, Exposure, Friends of Parkland Walk, Hornsey Conservation Areas Advisory Committee, Hornsey Pensioners Action Group, Hornsey Vale Community Centre, North London (Hornsey) YMCA, Shepherds Cot Trust, Shepherds Hill Allotments, Transition Crouch End, Hornsey Historical Society, Songworks Choir, Christ Church, Crouch End Chavurah, St Mary with St George, CASCH RA, Glasslyn, Montenotte & Tivoli RA, Haslemere RA, Hatherley Gardens RA, Ivy Gdns, Abbotts Terr RA, Mews Watch Neighbourhood Watch, Oakfield Court RA, Hornsey Housing Trust, Roden Court residents. Neighbourhood forums are part of the new Localism agenda that the Government established in 2011 and are intended to give local communities a greater role in influencing planning decisions that affect the area that they live in. For example, this might be how new buildings should be designed, where new pedestrian crossings are needed, what should be prioritised for any funding, or what needs to be protected in the local area. A Neighbourhood Forum must have a minimum of 21 local residents or businesses and apply to the local Council to be recognised. When approved, the Forum can then begin to develop a Neighbourhood Plan that sets out the local community’s aspirations. Why do we need a neighbourhood forum? We believe Crouch End will benefit from a neighbourhood forum because it will give local residents and businesses much more influence over how the area changes in the future and the opportunity to direct money to what we as a community think should be improved. The Crouch End Neighbourhood Forum is committed to talking and listening to local people, and drawing the boundary for the area was the first part of this consultation. The boundary has been approved by Haringey Council and you can see the map that defines “Crouch End” here. Our extensive notes on how this was arrived at are here. The most important thing to remember is that the boundary is a planning requirement and is certainly not intended to exclude anyone, and we welcome the views and thoughts from anyone who lives, works or plays in Crouch End. The group meets regularly, roughly once a month, on weekday evenings in Crouch End. The meetings are open to all so please just check our website for more information and also the minutes from our meetings and other useful links. We do recognise that many won’t be able to make the meetings so we will be out and about in the local area trying to meet as many people as we can and will be advertising this on our website. If you are part of a community group and would like us to come to one of your meetings, please drop us a line at: [email protected] As part of our evolution we have just implemented a “current issues” meeting which will look at matters too urgent to wait for the creation of a plan. Localism is now a formal institution in law, and it is under the guidance of the law that the Forum has been created. Localism is encouraged by central government not only in name, but also by the making of financial grants. But Crouch End has for a long time had its own special local character. When it was part of Hornsey it was the site for the creation of the Town Hall, a brave modernist masterpiece quite unlike the traditional Town Hall of the day. The clock tower was erected by public subscription in recognition of the efforts of Henry Reader Williams, a local activist, responsible among other things for the preservation of the open spaces stretching from Crouch End to Highgate Wood, land which gives the area much of its character. 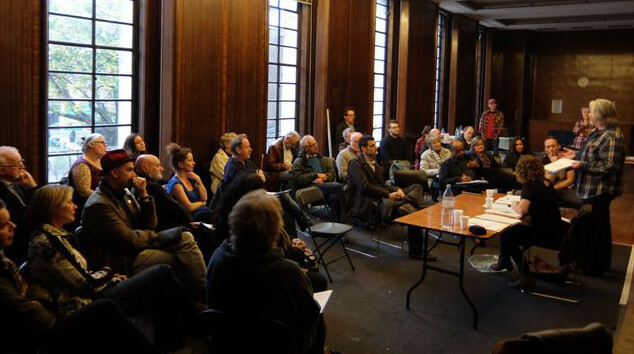 The Forum hopes to carry on ensuring that Crouch End remains locally distinctive. Publicise and promote the work of the Forum and organise meetings, training courses, events and seminars. Oversee the work of sub-committees set up to further the development of the Plan. Publish in full the minutes of all Executive Committee meetings. Do our best to ensure that important local planning applications are subject to suitable scrutiny. 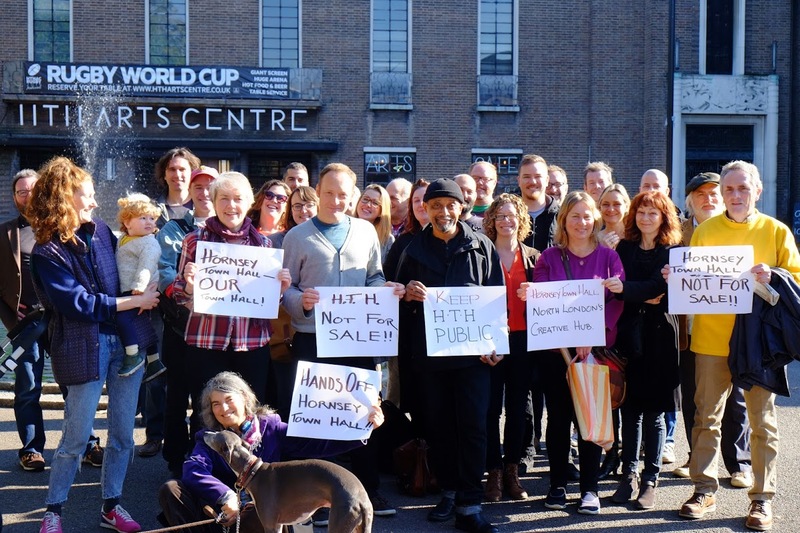 Join Crouch End Neighbourhood Forum newsletter!